Cosmos is inspired by marbling: an artisanal decorative technique that has recently become all the rage in interior design, where paint is used on water to unique decorative effect. 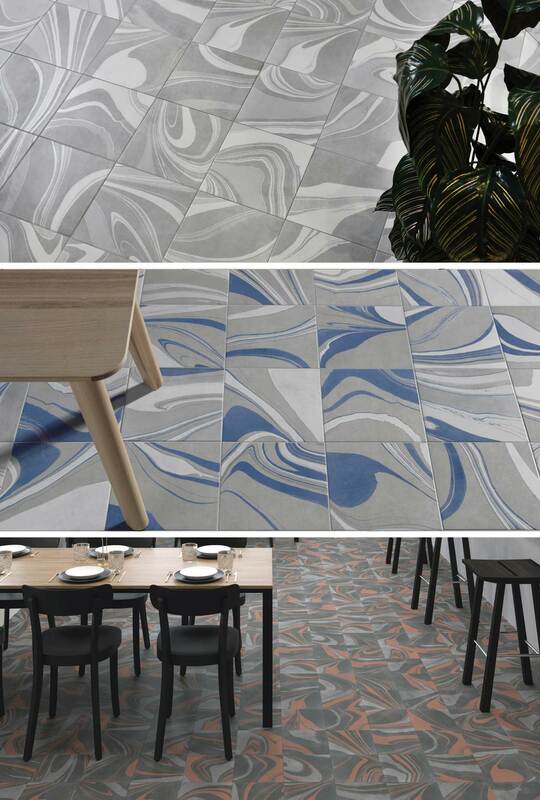 Marbled shapes have been combined with trend-setting colours like blue, green or pink in contrast with a variety of greys. Cosmos can be used in all kinds of living spaces. With a variety off six tones, a matt finish and 10mm thickness. Cosmos consists of over 30 different patterns randomly supplied in boxes of 20 tiles.